Specialized is one of the best-known bicycle brands in the world. Famous for their road and mountain bikes, they have put their know-how to use to create the Turbo range of pedal-assist bikes. 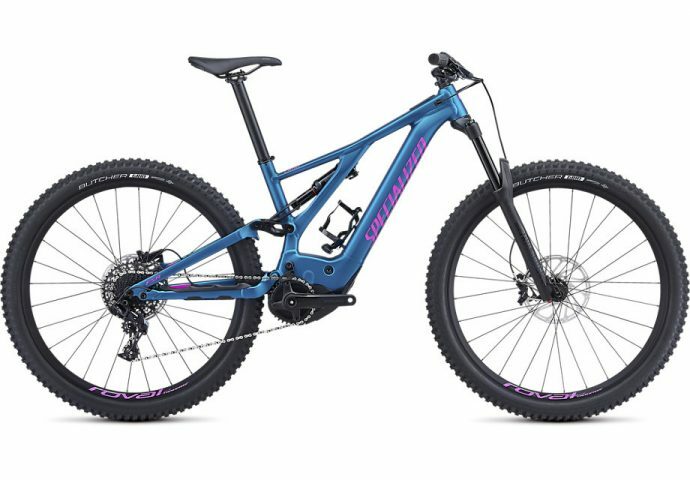 The Levo range embodies Specialized’s expertise in building hard-tail and full-suspension MTBs, but with the added support of the powerful Brose drive train. The drive train and battery are fully integrated into the frame for powerful aesthetics. For 2019 the Levo series has received a motor update and larger batteries on the Expert and S-Works models. Specialized’s Mission Control App on your smartphone allows you to set the battery use for a specific range or time, to ensure you won’t be getting a flat battery anymore.